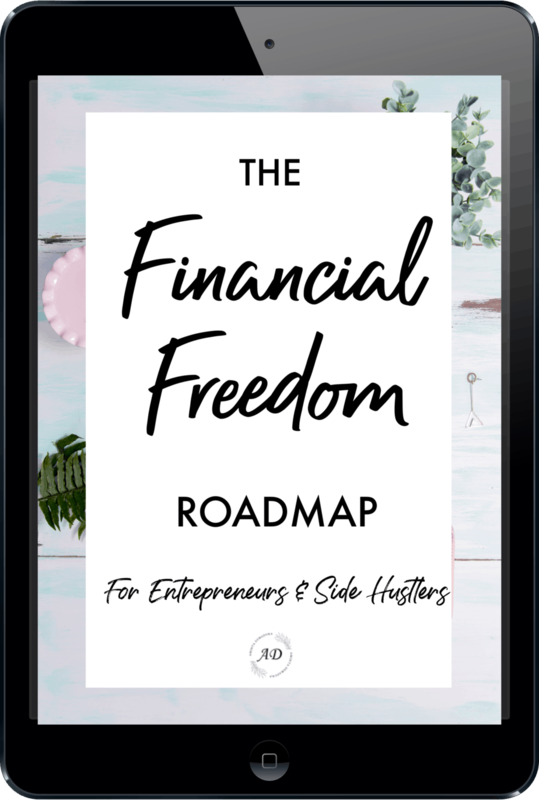 If you've ever struggled to save money or find yourself wishing there was an easier way to do it, then today's post is for you! Acorns is one of the best ways to automatically take your spare change and invest it in the stock market. It runs as an app for your phone that links to your debit card and bank account and rounds up all of your purchases to the next dollar. 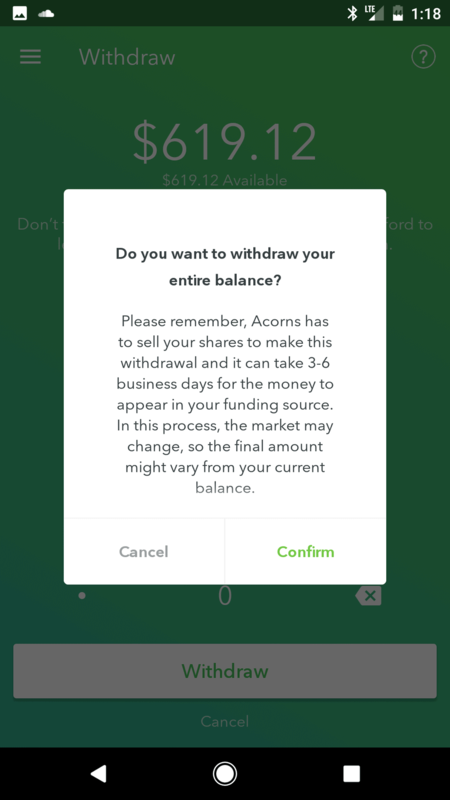 When it does that, any spare change from the transaction is swept into your Acorns account and invested in ETFs. You get to choose how aggressive or conservative you want your account to be managed, and the app does the rest! The best part is that it is completely automatic. Once you set it up, you can forget about it and it will continue to do its thing in the background month after month. Basic acorns accounts are free for college students! The app isn't great as a long-term investment vehicle. 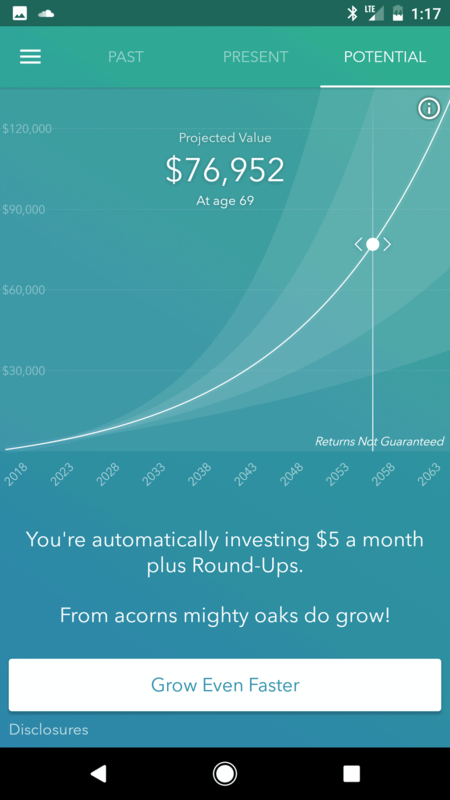 As I've said before, Acorns really isn't a great long-term investment vehicle. The returns are much lower than investing in an index fund account with Vanguard or Fidelity and your money is only spread across seven ETF's. The Vanguard Total Stock Market Index Fund, for example, invests your money in every single publicly traded US company. The stability and growth with a Vanguard account is much better overall. Here's where Acorns excels. 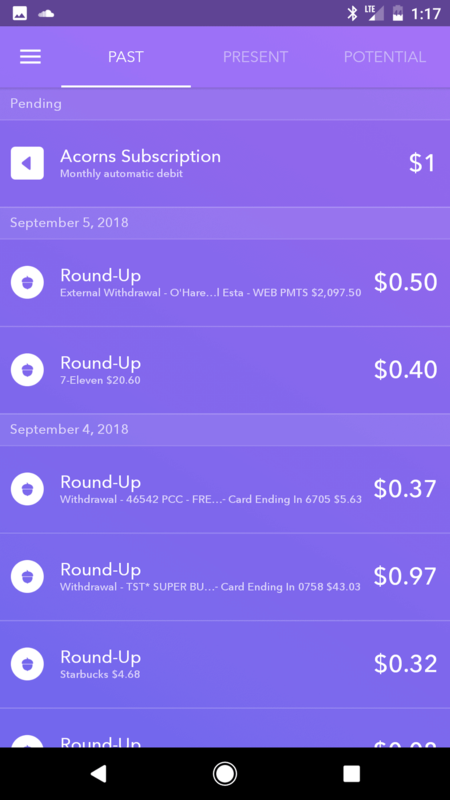 Instead of being a long-term investment account, Acorns is great for grabbing up those extra quarters and dimes from every transaction you make and bringing them into one place for you. With my account, I let Acorns run for several months until I accumulate a few hundred dollars. As you can see, it took me about 10 months to reach $619.12 in my account. After reaching a decent sum I withdraw the money into my bank account and then quickly send it to my Vanguard account. This is a great way to invest an extra $1,000-$2,000 per year without feeling the pinch at all. And, you don't have to invest the money like I do. Many people use Acorns as a vacation fund, a new car fun, or just as a fun money fund for a special treat. 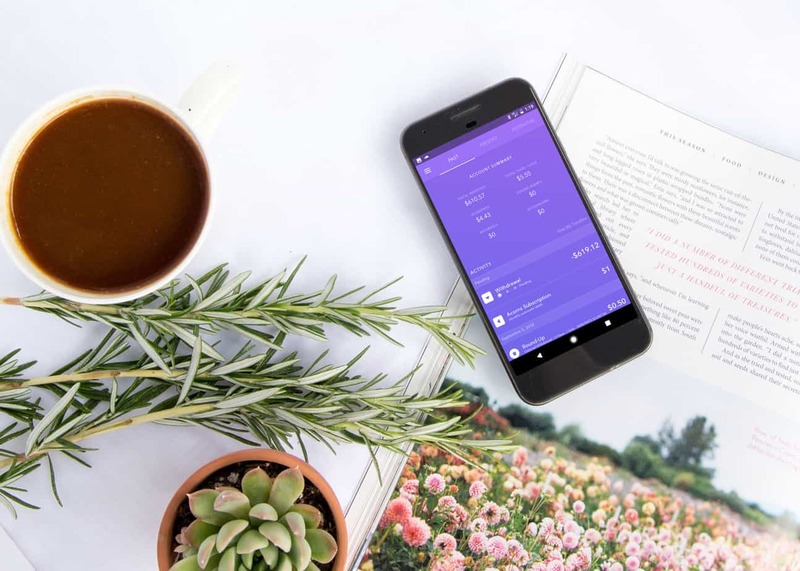 When used as a simple savings app, it is a really fun and painless way to watch your savings grow. 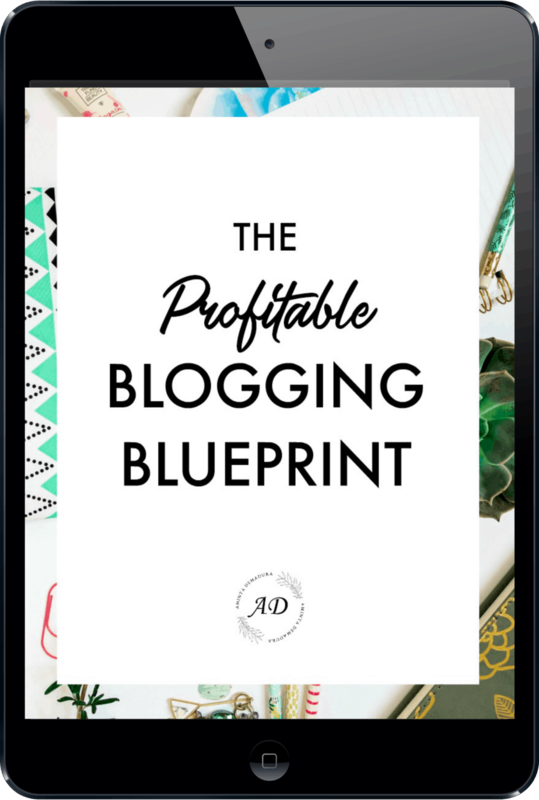 When I first set up my account, I wasn't sure what to expect so I set it to add an extra $5 per month to the account in addition to my roundups. Now that I've gotten a good feel for how it works, I will be upping that number significantly. 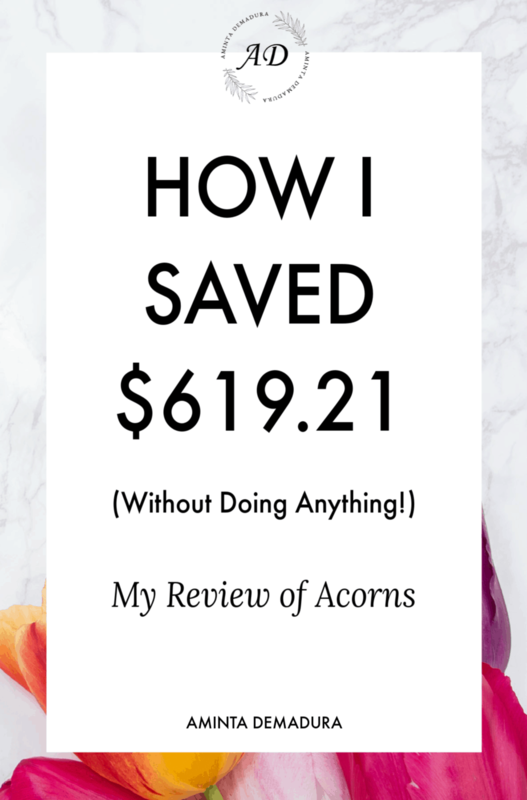 I love that Acorns is crazy simple-to-use and that it supports my secret sauce to building wealth: Automate your savings and investments and you can’t help but succeed.